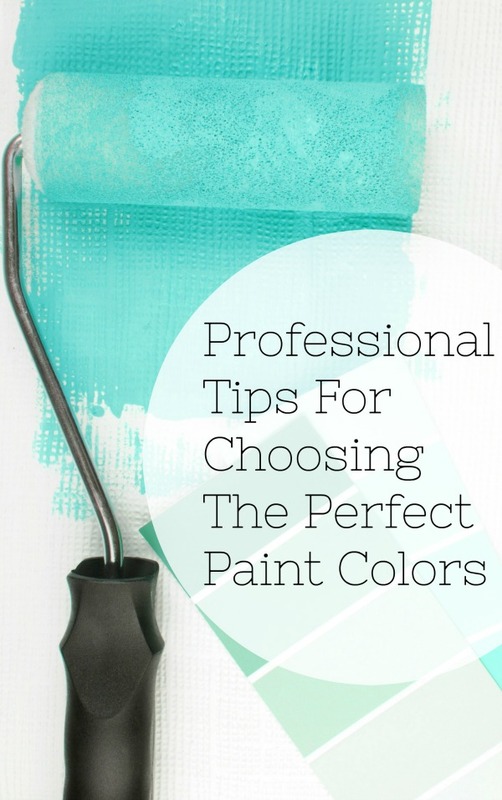 This is a sponsored post written by me on behalf of Schneider Electric for IZEA. All opinions are 100% mine. If you’re like most people, you probably think your energy bills are way to high. You may be right. 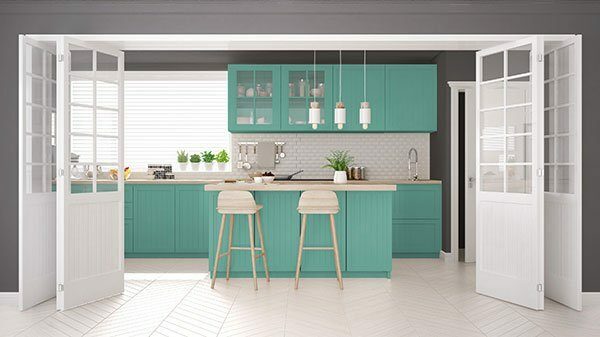 Let’s face it, we want to think we are making smart choices when it comes to energy consumption but the simple fact is…there are many factors that play into energy usage. 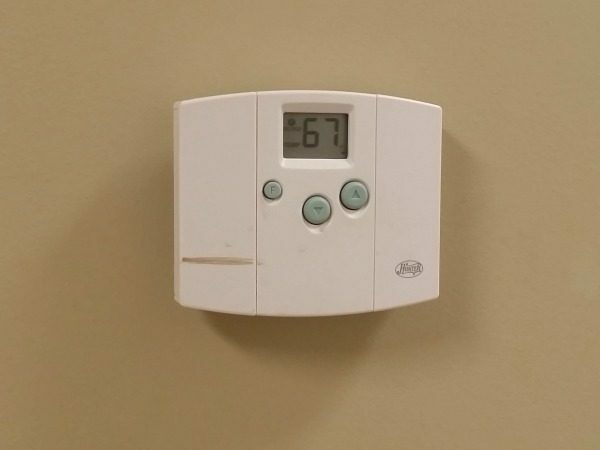 I bought a house a couple years back with a builder-grade thermostat. It looks fancy because it has a digital screen but that’s its only feature. It isn’t programmable so my air stays at the same temperature unless I remember to change it. Combine that with the fact that I have 3 teenage boys who are constantly leaving the lights on, the television on and their game systems on and you have a recipe for disaster. So I ask myself, “Why are my energy bills so high? The answer is simple. It is because I can’t keep an eyes on everything all of the time. But what if I could have insight into how much energy my household was using? And Is that even possible? Yes it is! 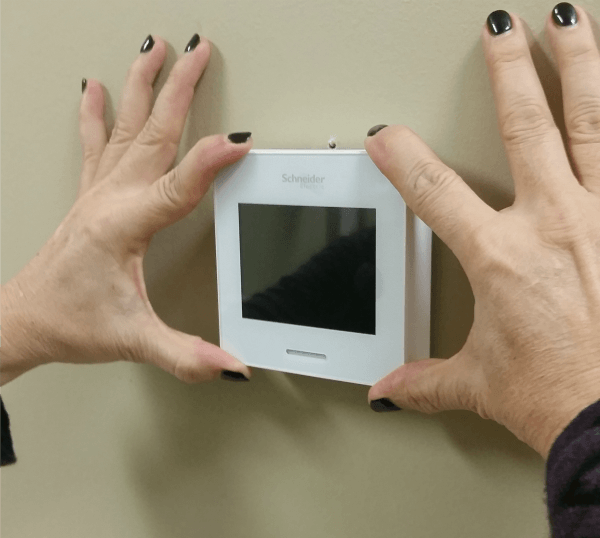 Introducing Wiser Air Wi-fi Smart thermostat from Schneider Electric. It features Comfort Boost: a unique feature allowing users to get instant heating or cooling without changing your carefully optimized schedule or affecting the learning algorithms. 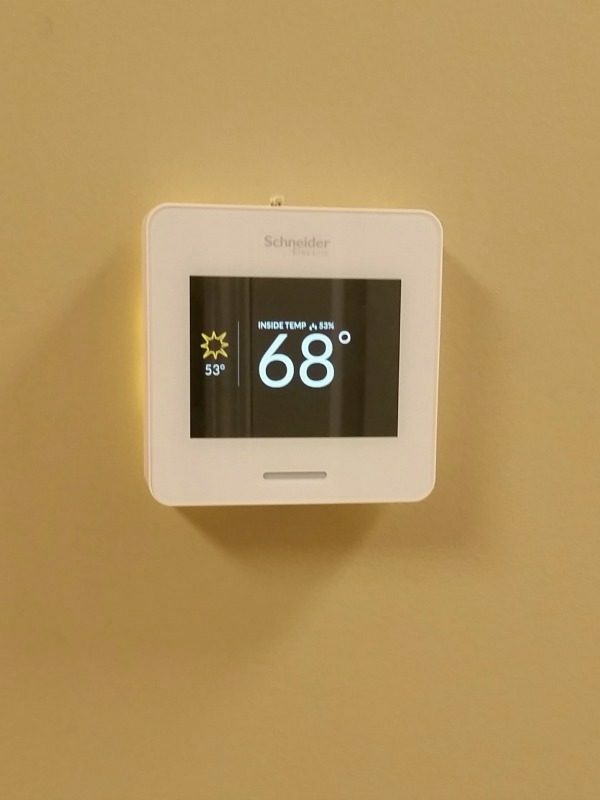 In this post, I am going to show you how easy it was to install this thermostat (yes I installed it by myself) and how it has helped me gain control of my energy usage. The first thing I noticed about the Smart Thermometer was it’s packaging. It was attractive and made me eager see what was inside. When you open the box, the first thing you will see is its face plate. I love it’s clean, sleek design. Lift up the face plate and you will see a notification card with product information. Behind the card is the back plate for the unit. Underneath the back plate are instructions and extra components for installation options. 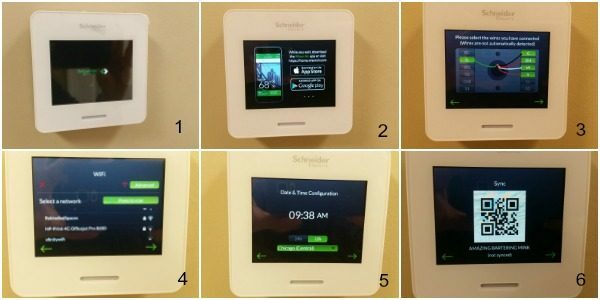 I laid everything out and read the simple installation and setup prior to installation. 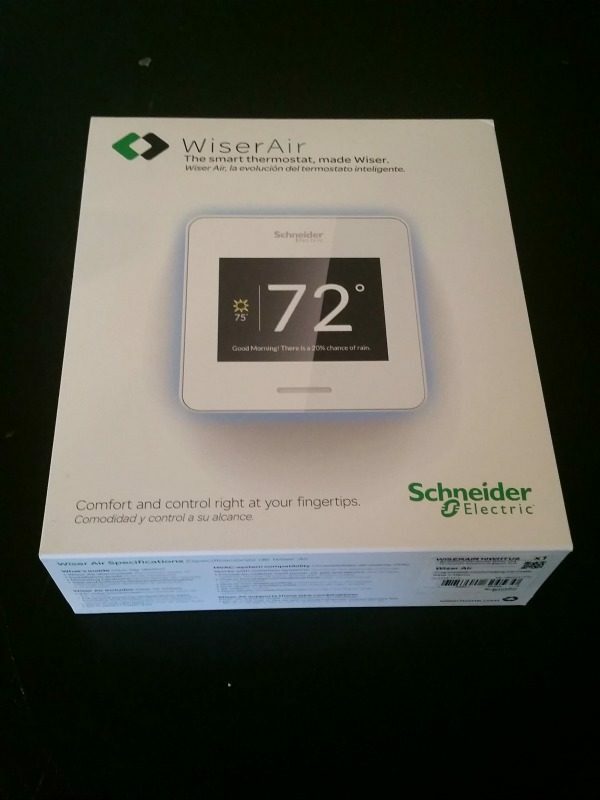 I also watched an installation video that was provided on the Wiser Air website. 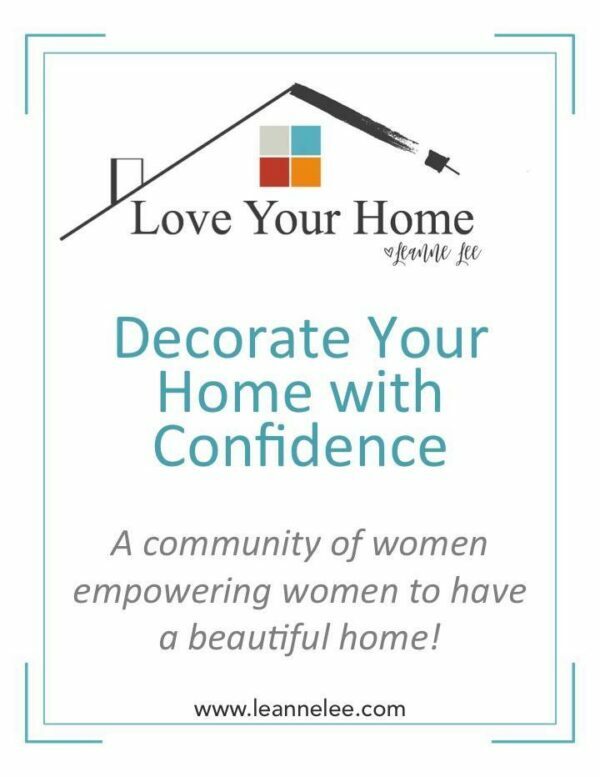 Step 1) Turn off the breaker to the HVAC. 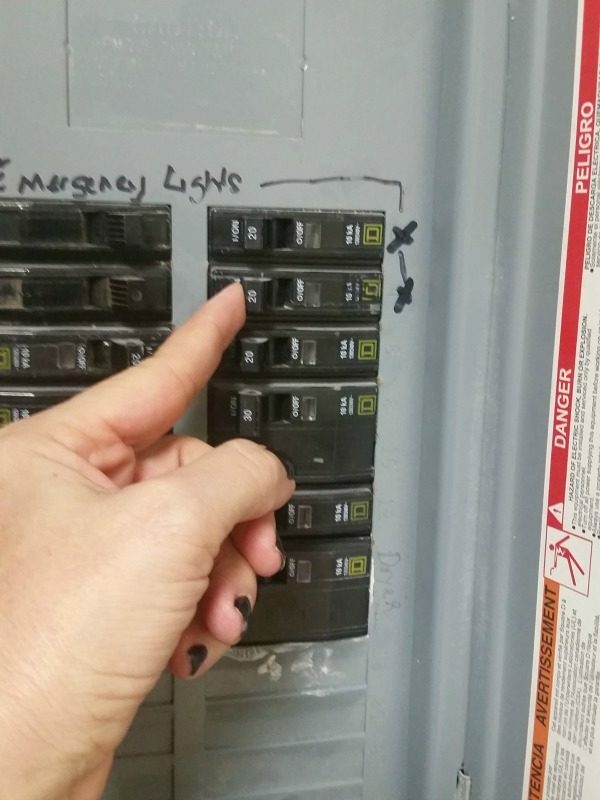 Find the breaker marked HVAC or Furnace or AC and switch it to the off position. 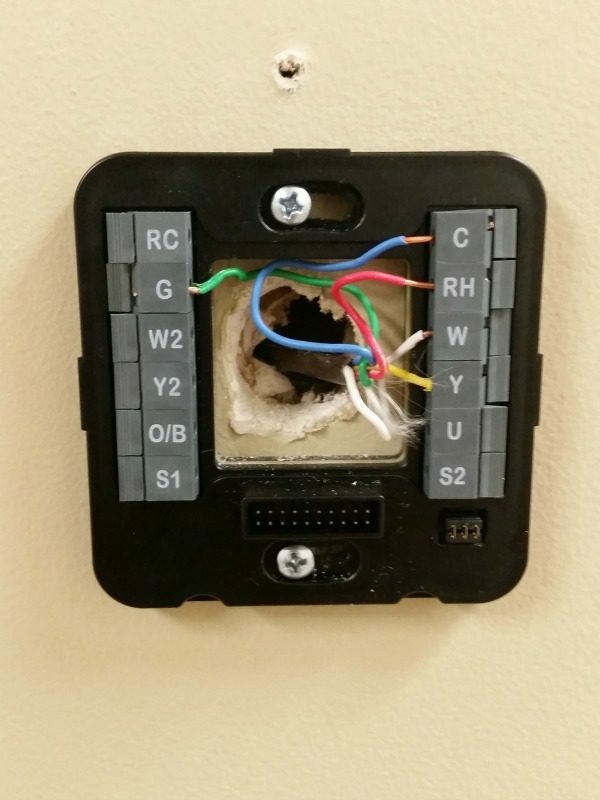 Tip: Leave the old thermostat face plate on so you can make sure to see that the power has been disconnected. 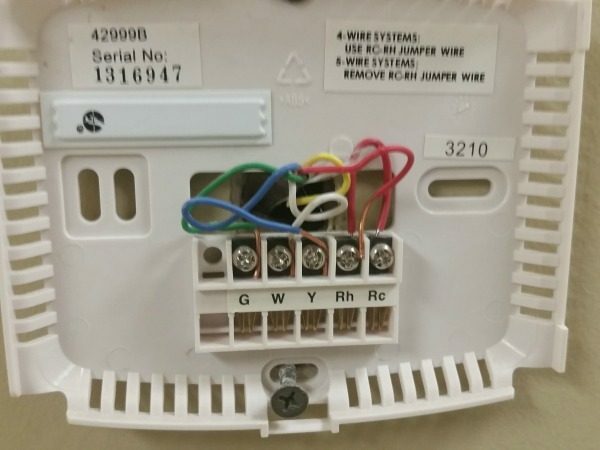 Step 2) Take a photo of the wiring of your existing thermostat. Step 3) Using a small screwdriver, loosen the screws holding each wire and separate them. Step 5) Position the new back plate over the existing wires and mark for new holes. Using a level and a drill, secure the back plate with the provided screws. Option: There is an optional trim plate that can be installed behind the back plate but I opted to repair the one tiny hole above the new unit. Step 6) Reattach the wiring based on the picture you took of the previous thermostat. Step 8) Turn breaker back to the on position. The display screen will light up and then take you through a set-up process. Follow the instructions on the screen when prompted. 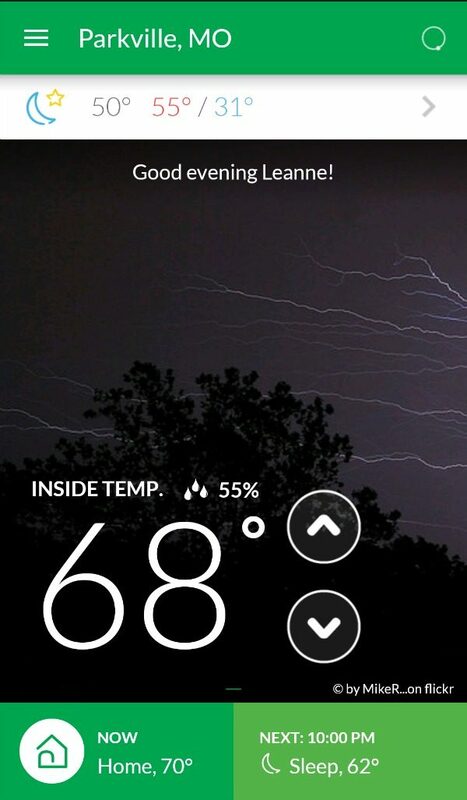 Here is a screenshot of the app on my phone with the settings. 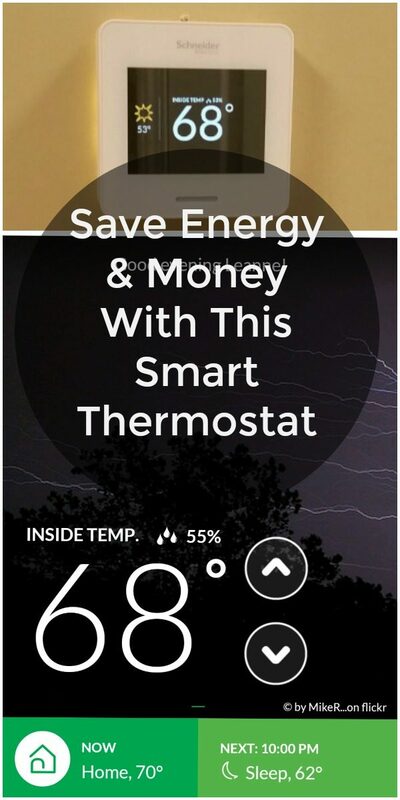 I am able to adjust the temperature settings using my smartphone. Finally a product that is going to help me save money without sacrificing comfort.